Mark Montgomery, President of Montgomery Educational Consulting, will share his college counseling expertise with parents and students of Burlington High School on Thursday evening. Dr. Montgomery will talk about how to prepare to graduate with a college degree, not just get into college. The focus will be on reducing admissions stress and increasing university success. We need our kids to focus on the idea that education is not a prize, but rather a way of life that prepares them for whatever their future may hold. What’s the best way for high school students to select the right college and get in? Mark Montgomery, a noted independent college consultant, will answer this question and more in an informative evening lecture for Burlington parents and students. These days, unfortunately, the college admission process sows fear in the hearts and minds of both students and parents. College admission seems more competitive, more stressful, more expensive, and more unpredictable than ever before. Of course, as an admissions expert, Dr. Montgomery plans to review the basics of college admissions preparedness, including a discussion of students’ SAT and ACT scores, GPAs, and extracurricular activities. In addition, he will discuss the basics of financial aid, including how good students in high school can be handsomely rewarded for strong performance. Dr. Montgomery will also offer tips on how to choose the right college—one that fits a student’s abilities, preferences, and ambitions. He will help students and families look beyond the college rankings, gossip websites, and guidebooks to investigate what educational quality really means. But while choosing the right college can be important, it’s also critical to remember that ones choices early in high school (and even in middle school) have a big impact on the eventual outcome of the college admissions process—and life in general. Dr. Montgomery often refers to J.K. Rowling’s beloved Albus Dumbledore in his talks, because Dumbledore, too, focused on one’s choices. As Dumbledore said to Harry Potter, "It is our choices, Harry, that show what we truly are, far more than our abilities." Dr. Montgomery reminds students to make the choices that will prepare them not only for college, but also for life. Dr. Montgomery’s talk is free and open to the public. For more information, please contact the Burlington High School counseling office at (781) 270-1800. 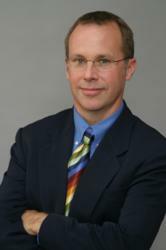 Mark Montgomery, Ph.D., is an independent college consultant serving a national and international clientele from offices in Denver, Colorado, Westfield, New Jersey, and Hong Kong, China. A former college administrator, admissions officer, professor of international relations, and high school teacher of French, he brings a wealth of educational experience and perspective to the process of college selection and admission. He speaks to audiences around the world about how to choose the right colleges—and get in. For more information about Dr. Montgomery, please visit GreatCollegeAdvice.com.